of Being in a Roomful of People Make You Nervous? Are You Able to Start a Conversation? Be Comfortable in a Crowded Room? Does the Thought of Being in a Roomful of People Make You Nervous? Sometimes, the anxiety of being with other people, having to carry a conversation or answer questions is almost impossible for some people. Maybe you get nervous meeting someone new, being the center of attention or just being out with other people. A lot of the problem is feeling scrutinized by others. "What do they think of me? ", you may wonder. The fear of being around other people﻿ — is a common uncontrollable and (usually) baseless fear. It's not just at parties or at work; it's the feeling of being scrutinized everywhere! Many people think it is a silly fear; but for YOU, it is real and terrifying. You become paralyzed. Afraid to do even simple things like go to a wedding, a restaurant... anywhere other people can want to talk to you — and you having nothing to say! Personally, I understand this. Because I used to have this in my early life. Therapists didn't help. Books didn't help. Nothing worked. It took me YEARS to figure out how to get out of Social Anxiety. Do YOU have years to figure this out? Wasting money with talking about it with "experts"? Fix this fast with this amazing audio program. It'll work for you, too. This audio set contains two Hypnosis Programs so you can get outside and socialize. Find out how easy it is to going to a party... a ﻿meeting﻿... and talk to people — and, you'll LIKE it! The hardest part is having the confidence you need — in ANYTHING in life. MOST people learn how to get the confidence they need. You'll get this in this small audio recording that you can keep forever. 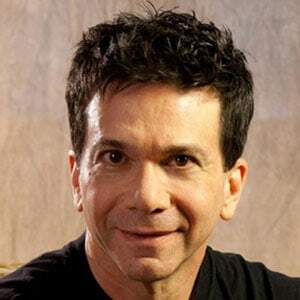 These are professionally-produced hypnosis programs — the same programs used in hypnotist Bryan Toder’s office — containing positive, verbal suggestions and deeply hypnotic background music to reduce your stress and allow you to be in social situations — without the paralyzing fear! 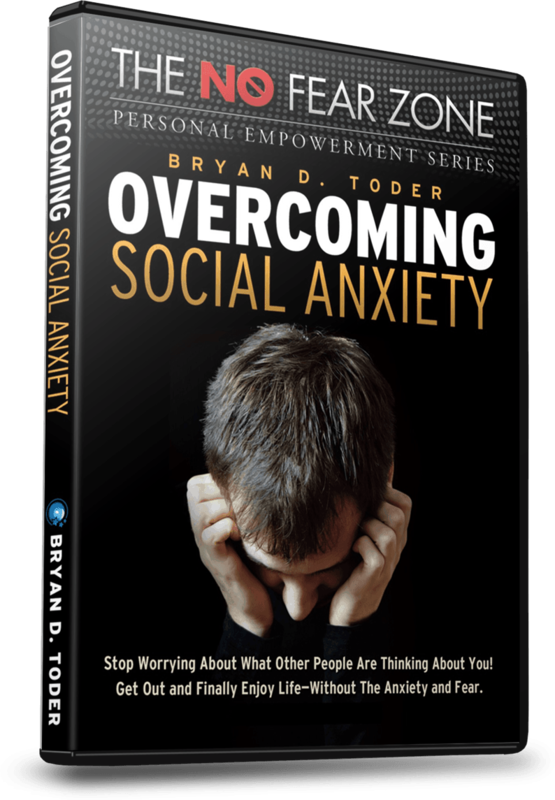 You won't necessarily become the life-of-the-party; but you won't be so paralyzed in social situations. You'll finally be able to get out and have fun! 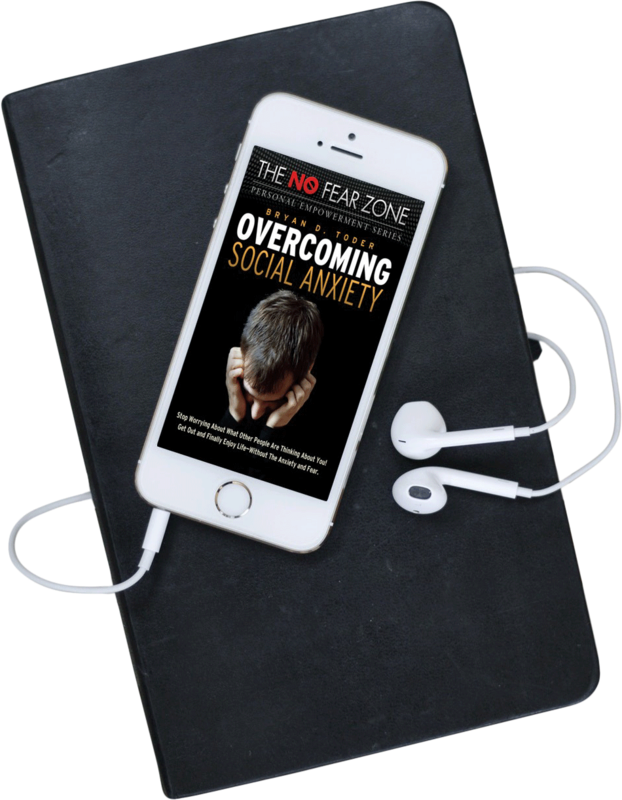 Get instant access to Overcome Social Anxiety now! "I feel more happy wanting to talk to people — straight face-to-face — instead of looking the other way and shying away. After 50 years of being like this — negative. I am well on my way to a better, confident person." "All the nerves were washed away the moment I met Bryan Toder. I knew immediately his program would help me... and it did! "I have complete confidence in his methods and am sure they can help anyone who is willing to follow his directions." "...I had been plagued with anxiety disorders for a few years that had negatively impacted my social life and my ability to forge a career as a trumpeter. "Afraid of people and overcome by extreme self-consciousness when playing the trumpet, I reached my limit of frustration..."
"[Later...] ...something just clicked — I suddenly knew that I was going to play great... [and] restored my confidence in pursuing performance as part of my career." This is about taking back your life and be able to go to social events, parties... places you dread right now!